Scarring is a natural healing process of our skin after injury. Some scars which are barely noticeable or present in hidden locations, are mostlywell accepted. But others whichare raised, red or pigmented or if present in very prominent locations,look very ugly. They canseriously affect a person’s self-esteemand confidence. Scars can be of different typesdepending upon the cause of scarring. Some of the common reasons are acne, chicken pox, some skin diseases, surgery, burns, accident etc. 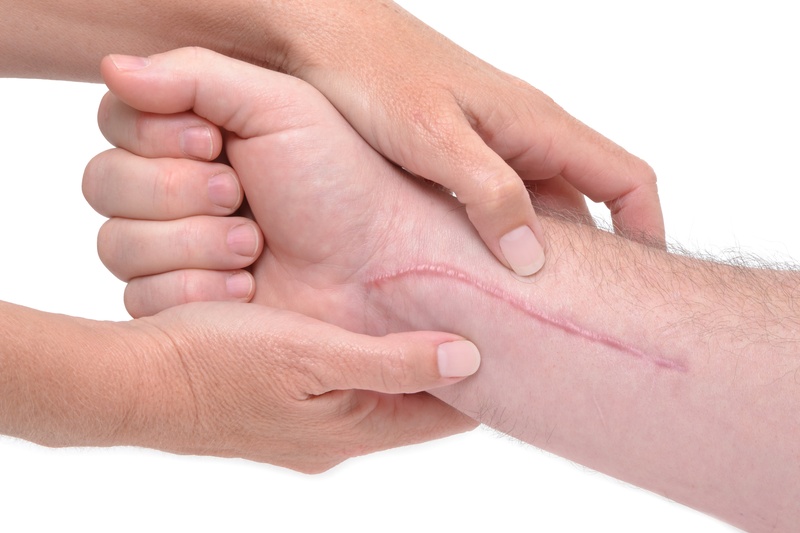 There are a variety of treatments available for scars. Secret Microneedle RF – Radiofrequency energy is used for the treatment of all kinds of scars,from mild to the toughest. It delivers heat energy directly to the lower layers of the dermis resulting in new collagen formation, thereby improving scars. There is no visible redness or crusting after the treatment as it repairs the scar from within the skin. Helios III Q switched Nd YAG laser – L A Skin ‘sadvanced HeliosIII laser works to lighten the pigment of dark scars and also improves texture. It can give you visible results merely after a few sittings. Dermapen – Dermapen is a fractional surgical device with micro needles in it. Its disposable needle tip uses an automated and vibrating stamp like motion that allows the microneedles to enter the skin painlessly at a high speed to treat the scar in a safe and gentle way. PRP – It is a non-surgical, natural medical procedure that is used for the treatment of scars. In this treatment, the platelets taken from the blood of the patient are injected into the scar. The growth factors contained in the platelets stimulate the new collagen formation in the skin, thereby improving the scar. Subcison – It is a method to lift the scars which are depressed and is used in combination with other treatment methods. CROSS – It is a simple method to treat narrow pits or chicken pox scars using spot peeling with trichloro acetic acid. Fillers – Hyaluronic acidgel fillers are used to fill the scars which have lost volume and are depressed. It is combined with other methods to improve the surface of scars. At L A Skin, these treatments are used singly or in combination to effectively treat all kinds of scars in the best possible way that is quick, painless and with least downtime, employing the latest US FDA approved devices and technologies.